These are the perfect bars to take to a picnic, or pack into the lunchbox. 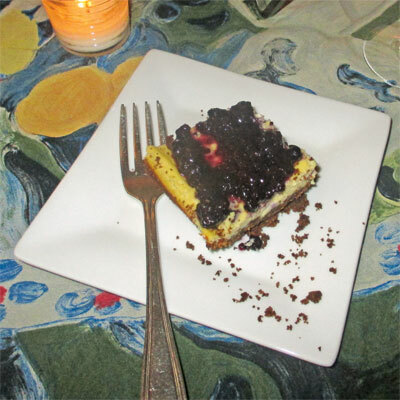 Top with Wild Blueberry Fruit Sauce for an elegant dessert. Preheat the oven to 350 degrees. 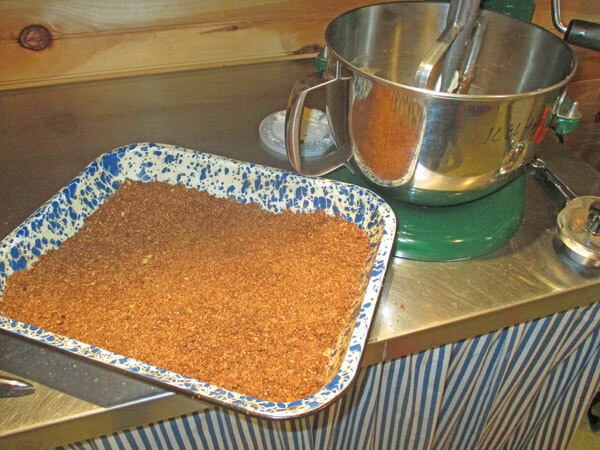 Grease a 9- inch x 13-inch pan. 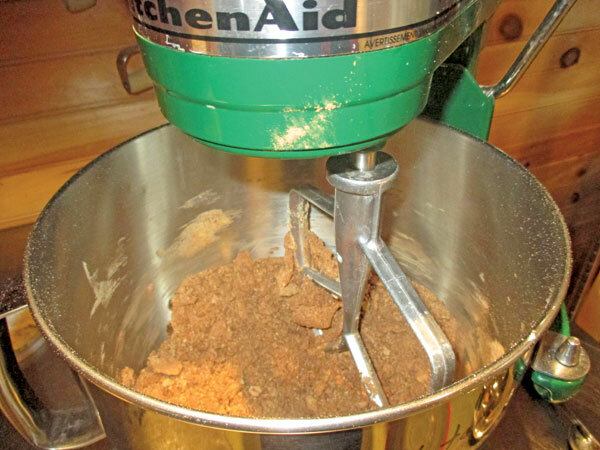 In the bowl of your food processor or mixer, combine the cookie crumbs and melted butter. 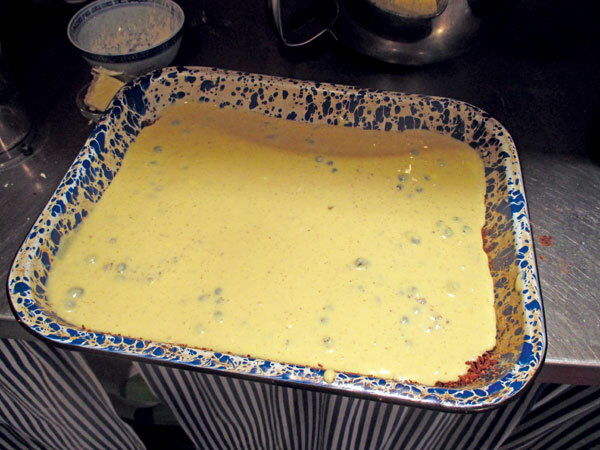 Press the mixture into the bottom of the pan. 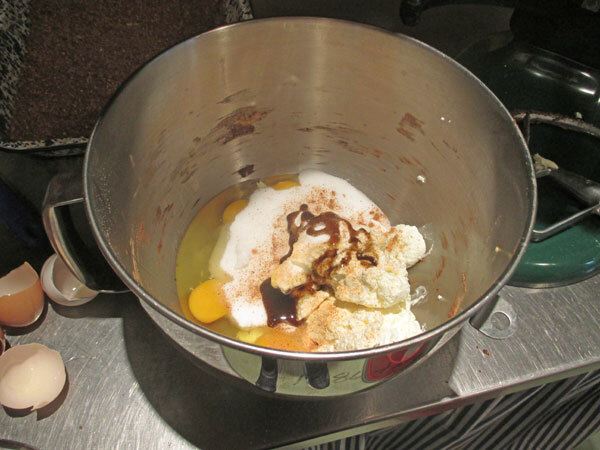 Without washing the mixer, add the goat cheese or cream cheese, sugar, vanilla, eggs and grated nutmeg to the bowl. Mix until well combined. 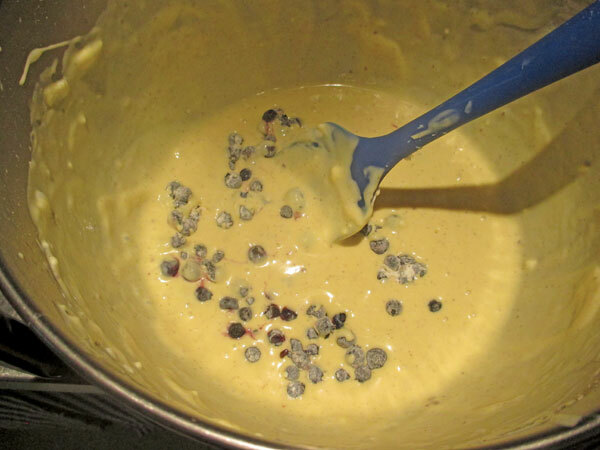 Fold the wild blueberries into the batter. 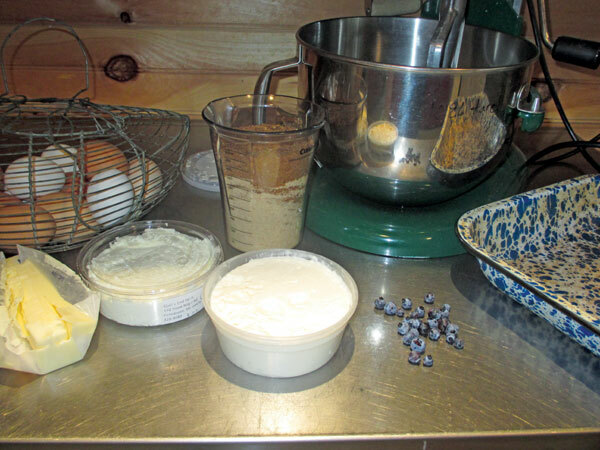 Bake until the cheesecake is just set, about 35 – 40 minutes. 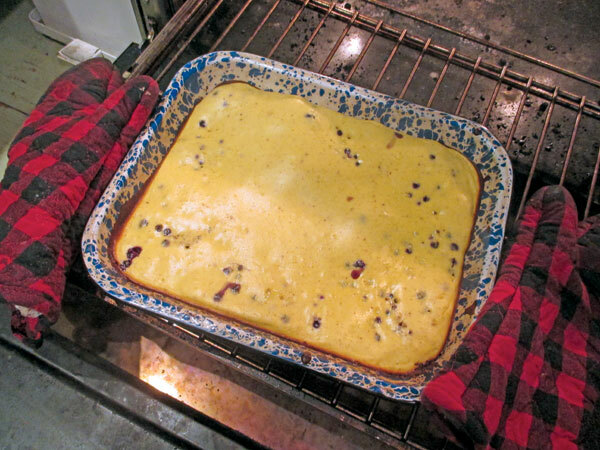 Let cool in the pan before cutting into bars. 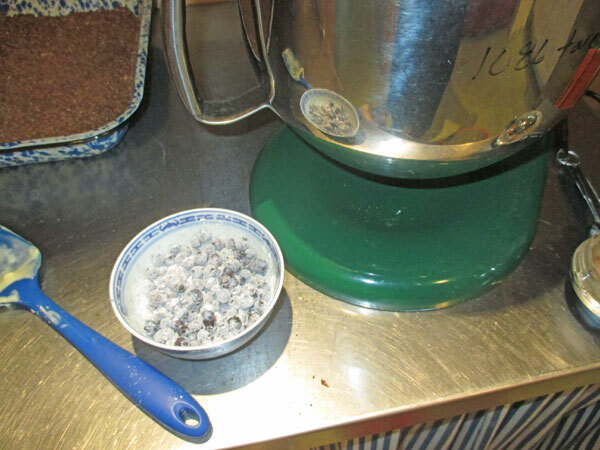 Makes 24 – 2 inch squares. Nutritional analysis per bar: 170 calories, 3 grams protein, 14 grams carbohydrates, 12 grams fat, 126 mg. sodium, 1 gram fiber.